Our Masters and Instructors are planning “FUN and EXCITING” buddy day for our students on Halloween Day. 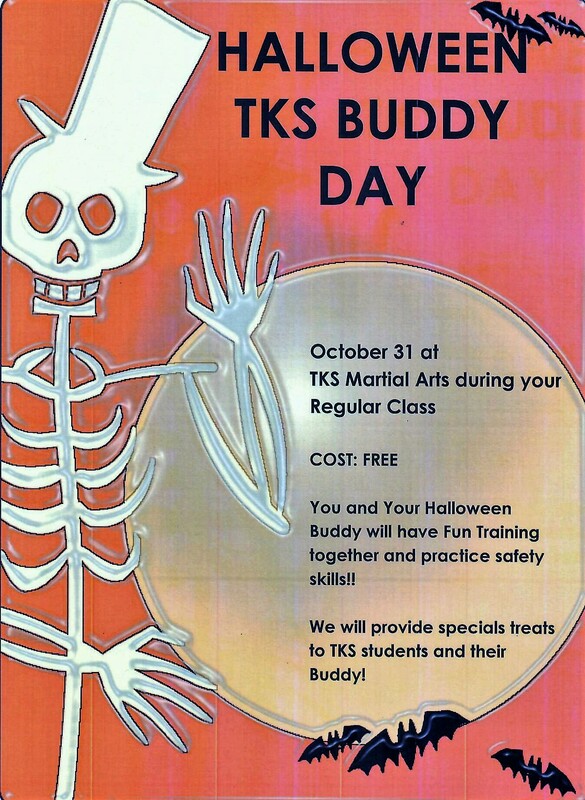 It will be held during their class times so this would not affect any class schedule.You may bring your “buddy” to your child’s belt level class schedule. There will be more information to follow, please think about a buddy to bring for this special day plan for our students.